Belsey Bridge Christian conference centre in Ditchingham on the Norfolk/Suffolk border, specialises in residential and day conferences for up to 110 delegates. With over 20 acres of grounds the venue is designed to support quiet reflection and there are many delightful walks in the surrounding countryside. The Centre is well known for the excellent quality of the food and provision of special diets. All fresh food is sourced locally and many groups return year after year because of the food alone. All of these elements are provided at Belsey Bridge at prices rarely beaten. Our care for you, and your delegates, is our priority as we aim to meet all your requirements. 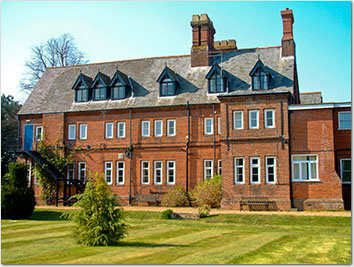 The older part of the Centre was built in 1863 as a girls’ boarding school by the Community of All Hallows. The school closed in 1990 and was converted into a Conference Centre. In 1999 it underwent a substantial refurbishment with a further 40 en-suite rooms being added. Most recently, in 2009, CCT acquired the Centre and re-launched it as ‘Belsey Bridge Conference Centre’.